A second night among the ruins of Everest Base Camp | Edita's Blog - "Intotheblu"
Just a quick update to say Edita remains safe and well as of this evening, Nepal time, as do the rest of the Altitude Junkies team. She is still at Everest Base Camp, and everyone is very nervous because of all the aftershocks that keep striking. There were several today which triggered avalanches, but thankfully no more that caused injury. Communication with base camp was very patchy today. She has no internet access and her voice calls were garbled. Although SMS was working for a time, she has had trouble receiving messages. Earlier today she reported base camp as being like a war zone. We understand from other reports that most of the injured have now been evacuated by helicopter, and there are plans to evacuate those stranded above the Khumbu Icefall at Camps 1 and 2 tomorrow morning. The route through the Icefall is currently impassable due to avalanche debris. True to her character Edita is no longer thinking of the climb of Lhotse she dreamed of, but the humanitarian crisis unfolding in Nepal, and she has contacted the World Food Programme (WFP), whom she works for, offering to help coordinate their emergency response in Nepal. Our thoughts are with everyone in Nepal during this difficult time. Please help if you can by donating to the WFP relief effort. 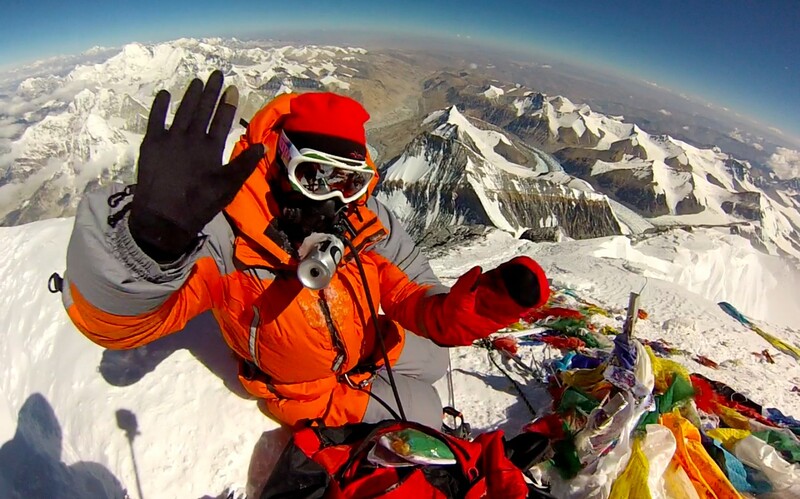 I summited the north ridge of Mt Everest on May 22, 2013. It was a lot more challenging than I ever expected. But I DID IT. I am extremely happy, proud and humbled by the entire experience. To my entire family, all my friends, supporters and armchair adventurers, I want to THANK YOU for being behind me during this journey of a lifetime! Interview with Alpinist.lt "Edita Nichols: Zenk ne daugiau kaip po zingsni i prieki"..
Į aštuonių kilometrų viršukalnę Himalajuose išsiruošusi lietuvė Edita Nichols: noriu įkvėpti ir kitas moteris siekti savo tikslų…. Tassie, A world unto itself.